Memory Stick was developed to realize the convenience of recording different types of digital content and sharing and exchanging them among the widest possible variety of products. It is compact, light, reliable and easy to handle. A wide variety of digital content, from photos and computer data to music and moving images, can all be stored on a single stick. Memory Stick also offers a reliable copyright protection environment so that users can securely record copyrighted content and at the same time, the rights of copyright holders can be protected. Versatile, compatible and user-friendly -- Memory Stick is the portable memory of choice for anyone for enjoying digital content anywhere, any time. Application of memory cards has expanded in recent years from recording and exchange of data to enjoying entertainment content, including still image recording, music recording and playback, recording and carrying moving images delivered on the Internet. At the same time, with higher quality of still and moving images, more versatile applications and advanced technology of memory cards such as high-speed, large capacity data transfer is expected. In order to meet such needs, Memory Sticks will go on to expand functionality and evolve with technological innovation to realize more versatile applications. Within the memory stick family, there are different types of memory sticks. For example, there is Memory Stick, Memory Stick Pro, Memory Stick Duo and Memory Stick Pro Duo. Memory Stick and Memory Stick Pro are the same size and identical in function. However, Memory Stick Pro uses more advanced features which make it compatible with the most current technology. For example, Memory Stick has no security feature that protects your files. 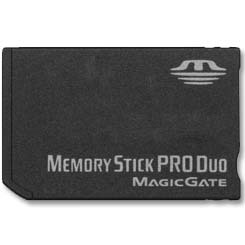 But Memory Stick Pro comes with the MagicGate security feature to help prevent the theft of your information. 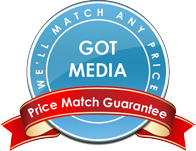 In addition, Memory Stick Pro is ideal for recording high-quality DVD movies.